Courtesy of David Hargrove, David Hargrove. 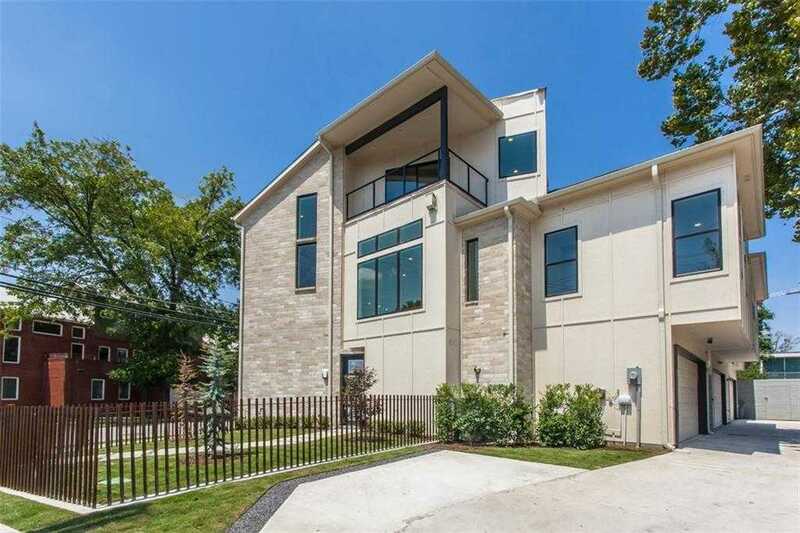 Modern light-filled, vaulted, 3-story patio home on corner lot. Cut stone facing. Double Master Suites. Ground Floor laundry & rear-entry garage. Gated enclosed front yard. 2nd floor open kitchen dining area with connectivity to loft-style living with fireplace. 3rd Floor flex living area-study-full bath + bedroom + covered balcony. DOWNTOWN VIEWS. 3 inch plank maple flooring, upscale fixtures, designer lighting & Bertazzoni appliance package includes vent-a-hood, wine cooler, 2 door frig, disposal, dishwasher, microwave, gas oven range. Foam insulation & energy-efficient mechanical equipment. ELEVATOR – LIFT OPTION AVAILABLE. Please, send me more information on this property: MLS# 13805765 – $699,000 – 2802 Lee, Dallas, TX 75206. I would like to schedule a showing appointment for this property: MLS# 13805765 – $699,000 – 2802 Lee, Dallas, TX 75206.